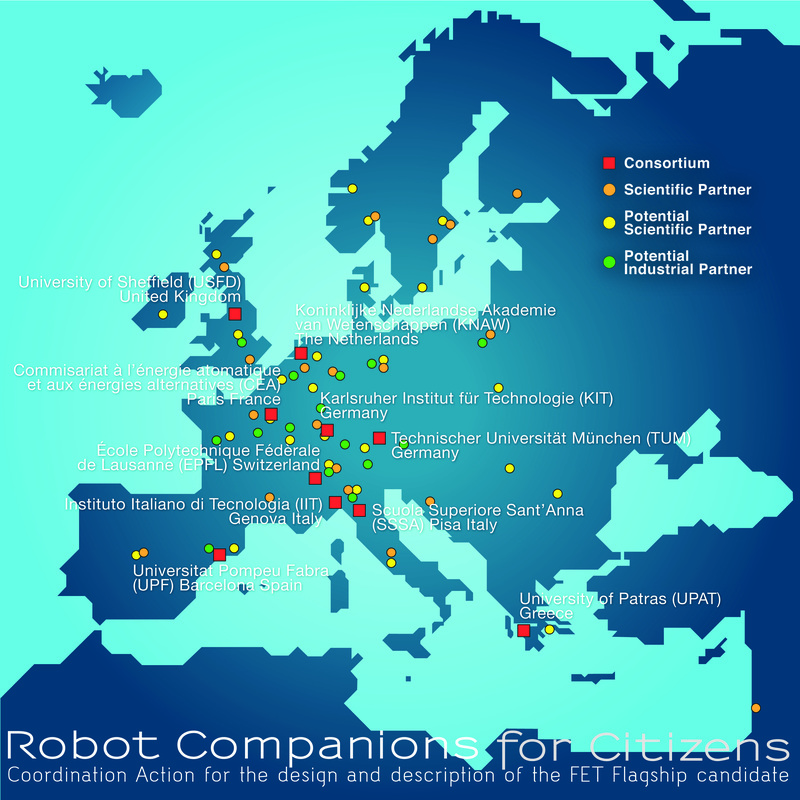 The Coordination Action Robot Companions for Citizens has submitted its proposal for the European Commission’s FET Flagship Initiative. The FET Flagship Initiative will provide a colossal EUR 1 Billion funding over ten years, the by far highest amount Europe ever dedicated to purely for academic consortia. 50% of this money will be directly by the European Commission; consortia are expected to raise the other 50% in matching funds from national research agencies, industry or other sources. 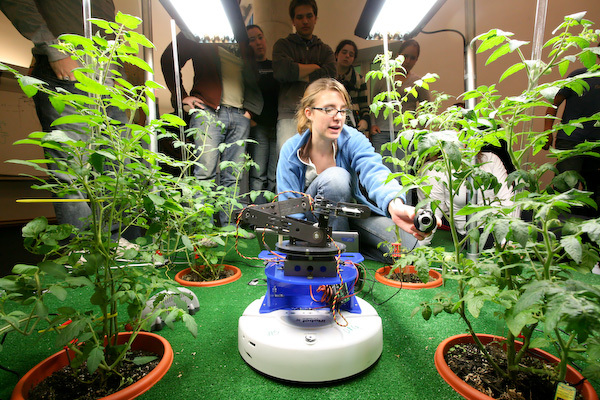 FET Flagships are science-driven, large-scale, multidisciplinary research initiatives oriented towards a unifying goal, with a transformational impact on science and technology and substantial benefits for European competitiveness and society. an ecology of sentient machines that will help and assist humans in the broadest possible sense to support and sustain our welfare. 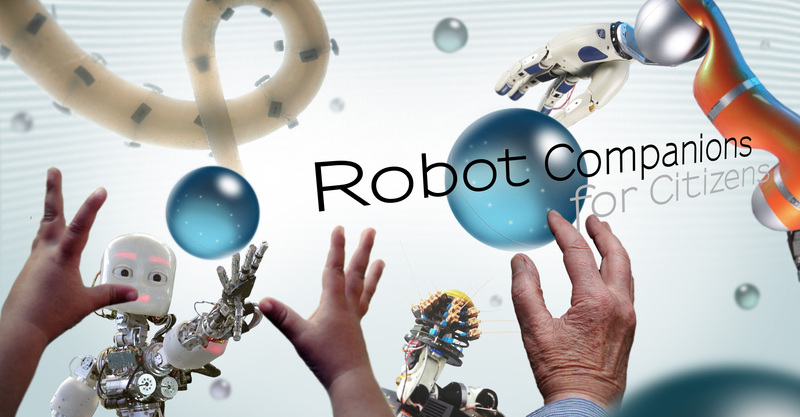 RCC [Robotics Companions for Citizens] will have soft bodies based on the novel integration of solid articulated structures with flexible properties and display soft behavior based on new levels of perceptual, cognitive and emotive capabilities. RCC will be cognizant and aware of their physical and social world and respond accordingly. 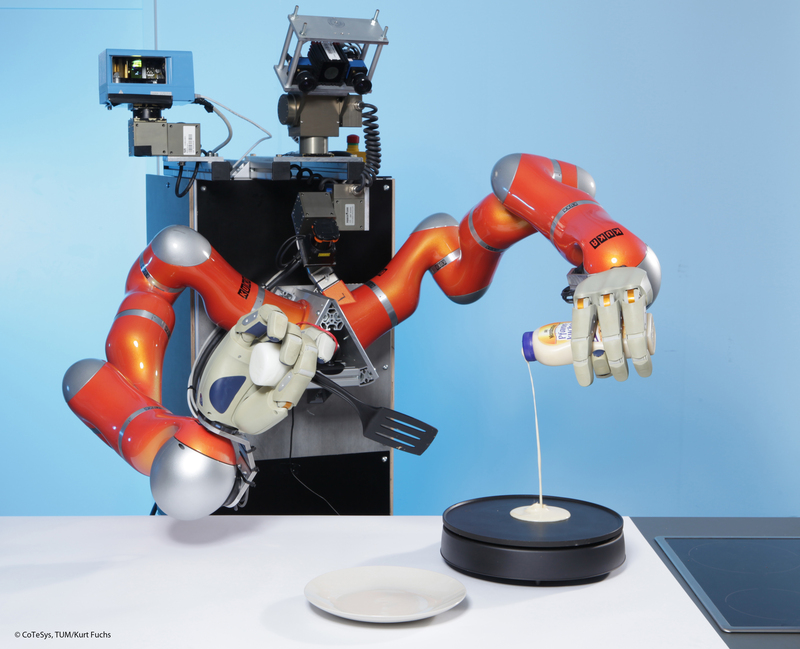 RCC will attain these properties because of their grounding in the most advanced sentient machines we know: animals. 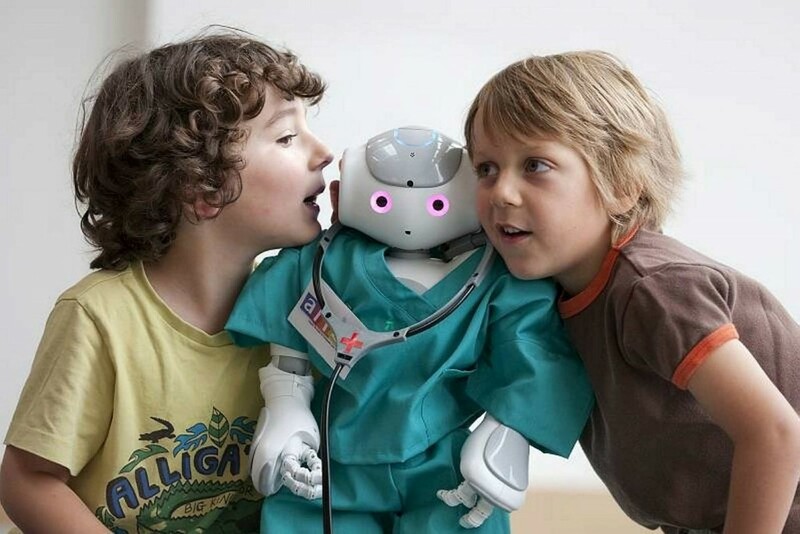 The iCub, one of the world's most advanced humanoids. By the end of 2012, beginning of 2013 at least two of these projects are expected to be chosen to be launched as full FET Flagship Initiatives in 2013.